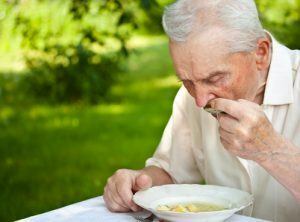 For many people living in a nursing home facility, swallowing food may prove difficult. 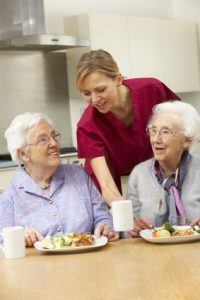 This means that nursing homes have to monitor or supervise the food intake of its patients. The risk of choking, possibly even death, increase when nursing homes fail to enforce diet restrictions or do not pay close attention to those patients who are susceptible to problems with choking. Why are these issues prevalent amongst the elderly? It is standard for those patients who have trouble swallowing in a nursing home setting to be examined by a physician in order to determine the severity of the problem. From there the physician can make recommendations on what the patient should and should not eat and in which forms. It is important that this advice be placed on the nursing home patient’s chart; these special needs need to be known to all caregivers who interact with the patient. When not monitored closely or if the patient receives medication or food that goes against what the physician recommended, it may lead to choking and asphyxiation. What happens while a patient chokes? 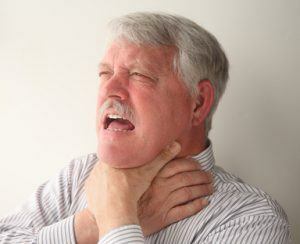 Choking is caused when medications or food enter the windpipe instead of the esophagus. This leads to the air supply being cut off. In the event that this happens, staff members only have a limited time available in order to administer aid before it leads to permanent brain damage or possibly even death. This once again demonstrates the importance of a qualified staff member who knows how to identify problems and act accordingly. 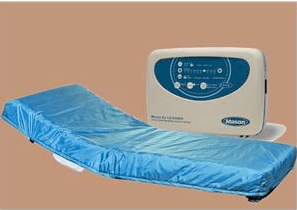 Some nursing patients are unable to breathe on their own without the use of a breathing machine or ventilator. This means that these patients are dependent on these machines being operational 24 hours of the day. It means that staff caring for those patients have to pay close attention to keeping these breathing tubes safe. Improper maintenance can cause serious brain damage or even death. While tragic accidents do happen, many choking incidences at nursing homes might have been preventable if the staff members made sure to follow the medical orders as provided for that patient. In the event that harm does occur, either because of unqualified staff members or because the facility was understaffed, it is important to hold that institution responsible. A choking episode should simply not occur while a patient is in a nursing home. 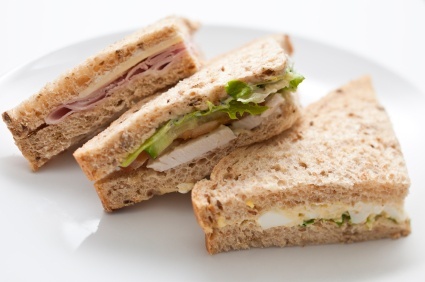 Staff at facilities need to carefully adhere to physician orders relating to dietary requirements and pay special attention to patients during mealtimes to ensure that they are safe and free from trouble. The nursing home neglect attorneys at Rosenfeld Injury Lawyers have fully prosecuted choking cases involving nursing home patients who were unattended or given the wrong meal. In the unfortunate situation where your loved one chokes or asphyxiates on food or other material, we stand ready to take on the responsible facility. Anyone who reads the horror stories that are sprinkled through out the country about care provided to patients in nursing homes has to ask himself or herself “What is wrong with these people?” How can any human being treat an aging or disabled person with so little compassion? Unfortunately, as these horrendous acts keep occurring in nursing homes, it is obvious that there are many facilities that have both administrations and staff that just do not have empathy for their residents. Recently at a nursing home in Iowa, a 64-year old woman was allowed to die while her two daughters could only watch. Barbara Logsdon was a resident at the Golden Age Nursing and Rehabilitation Center in Centerville. Two of her daughters worked at the facility, which should have made her feel safe as well as put their minds at ease that they could keep an eye on her care. Unfortunately, in the end, there was nothing they could do except watch while their mother died. Barbara was supposed to have her airway cleared for mucus blockages regularly according to the medical records. When her daughter arrived at the facility on June 22nd, she found her mother in distress and alerted a nurse. 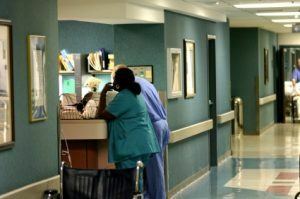 The nurse dismissed the situation as she said she had other people to attend to. The second daughter then arrived and eventually they got a nurse to come and start clearing Barbara’s airway, but by then, it was too late. The nursing home was fined $8,000 for this basic omission. Stories like Barbara’s should be few and far apart but that just is not the case in the nursing home industry. There seems to be many facilities and staff members that have little compassion for their charges. Somewhere along the line, the human connection has been lost and these poor patients are treated with disregard and in some cases, even disdain. 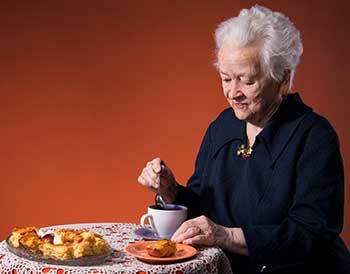 Perhaps its because many of us have grown up associating mealtime with a sense of relaxation and enjoyment, there seems to be an overriding sense of complacency at many nursing homes when it comes feeding patients. Many facilities just dish out dispense the plastic trays of food without much regard to how– or if the meal actually gets eaten. This complacency with meal times in nursing homes is commonly responsible for situations such as malnourishment, dehydration or choking. I began to consider the everyday complications associated with eating and drinking in nursing homes when I read about a New York Nursing Home that was sanctioned following the choking death of a patient at the facility. According to news reports, the New York Health Department issued an ‘immediate jeopardy’ sanction against Cunningham nursing home in Syracuse, NY after the agency conducted an investigation into the incident. While the specifics of the incident were not released, the conduct of the facility was obviously of concern enough for the agency to issue its most severe sanction. Would Nursing Homes Rather Allow A Patient To Die Than Take Responsibility For Their Actions? Many patients in nursing homes have do-not-resuscitate (DNR) orders on file to keep staff aware of their end of life wishes. While such decisions are indeed quite personal and should be respected by the facility, my guess is that these DNR orders were intended to encompass situations where a patient was theoretically suffering from an illness or similar situation that was brought about the inherent aging process— as opposed to an injury inflicted by a staff member at a nursing home. It is particularly disturbing when nursing home staff members take it upon themselves to make such a vital decision– whether or not to intervene– in the moments following an acute injury. The delay in providing medical attention for an acute decision is not only disingenuous, but frequently made for selfish reasons– mainly because it could theoretically conceal an erroneous or abusive act. On April 29th, a developmentally disabled patient at Meridian Manor nursing home choked to death on ziti procured from a take-out restaurant that actually delivered the food directly to the patient’s room without any intervention from facility staff. On March 6th, an 82-year-old patient at Aurora Senior Living Center in Cromwell choked to death on marshmallows. At their most basic level, fines imposed against nursing homes for negligent care of patients serve to both punish facilities for situations that may have developed in the past and to serve as a way of prodding facilities to improve the care they dispense— or else they will face similar sanctions again if the problems persist. If all goes according to plan, facilities that receive a fine will stop, pause– and think about the type of care that they provide to patients because the fine imposed against them remains enough of a sting for the facility to improve its patient care. 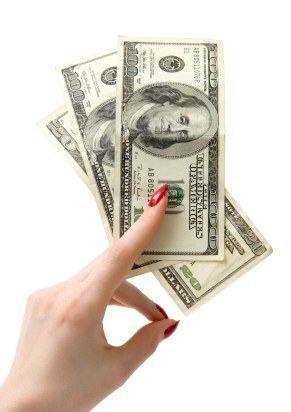 The trouble that I continually see with the overwhelming number of monetary fines imposed against nursing homes is that the fines are rarely commensurate with the degree of inadequate care provided. Moreover, when the fines imposed against offending nursing homes are evaluated in the context of a facilities business operations, they amount to little more than the cost of doing business. 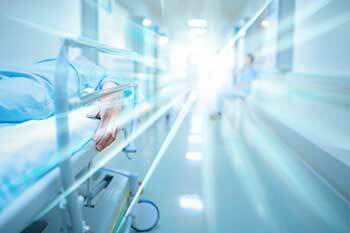 Was Nurse’s Need To Rush Through Job Responsibilites To Blame For Death Of Patient? I’ve come to accept that the physical responsibilities placed upon nursing home staff are completely unrealistic. The desire of management and administrators to maximize the individual productivity of nursing home workers may appear to be an admirable proposition on paper— yet, fails when it comes to providing quality care for patients. While an assembly line approach to staffing can yield increased productivity in an industrial setting, the technique is inappropriate in situations where— heaven forbid, more individualized care is required. While I regularly hear from nursing home staff how overwhelming their superiors expectations are of them, it frankly can be difficult to accurately quantify how such working conditions impact the patients. A recent episode of blatant nursing home neglect, reported by WCCO in Minneapolis caught my attention, for both the tragic outcome of the situation, but also because a closer review of the circumstances highlights the dangers situations of under-staffing at nursing homes. A recently-released Minnesota State Health Department report revealed new information about a questionable choking death in a Mahnomen nursing home. According to the report, 82-year-old Keith H. Johnson was a resident of the Mahnomen Health Center, when he was served a deadly meal of solid foods on Dec. 13, 2010. The decision to serve solid foods clearly violated Johnson’s doctor’s orders, which said he was only to eat pureed meals. Johnson, who suffered from Alzheimer’s, had a documented history of eating too fast and choking. Shortly after being served a sandwich, Johnson began to cough When two attempts at the Heimlich maneuver failed, Johnson was hospitalized, and died six days later from cardiac arrest. 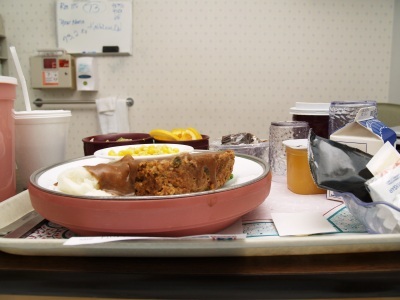 Officials from the Illinois Department of Public Health have imposed a $2,200 fine against North Church Nursing & Rehab after the facility failed to properly supervise a patient at the facility at mealtime and the patient choked to death on her food. The State Journal-Register reported that the investigation into the choking death was triggered by the Morgan County Coroner who was conducting an examination of the patient’s body. Nearly two years before this incident, the same facility (then known as Golden Moments Senior Care Center) a similar incident occurred at the facility when a patient who was to be on a pureed food diet, choked to death on a pieces of ham that were intentionally cut for him by staff at the facility. That incident resulted in an original fine of $50,000 that was subsequently reduced to $32,500 after the facility appealed the sanction. My take: I can appreciate the different levels of facility culpability involved in the two choking incidents— and hence the significantly different fines imposed. Nonetheless, I find the similarities between these incidents occurring at the same facility within a relatively short period of time— to be extremely concerning. As a lawyer who has representing families in nursing home lawsuits involving patients who have choked on food, I seriously question why a facility should seemingly be let off the hook when they failed to learn their lessons just a short while before. If nursing home fines are going have their intended effect of improving patient care, I would hope that regulators look at episodes such at this, with a more critical eye— the second time around.